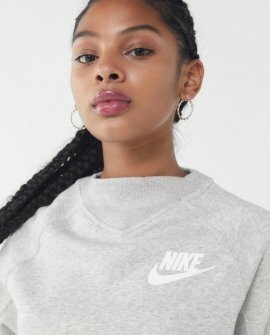 Casual-cool pullover sweatshirt from the sportswear experts at Nike. Made from brushed-back fleece in a relaxed fit with ribbed banding at the cuffs and hem. 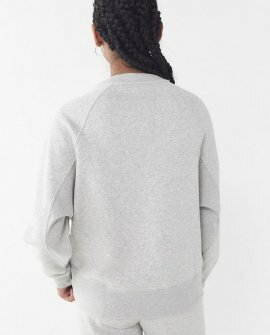 Topped with a ribbed inset crew-neck, raglan-style long sleeves and branded graphic at the chest.